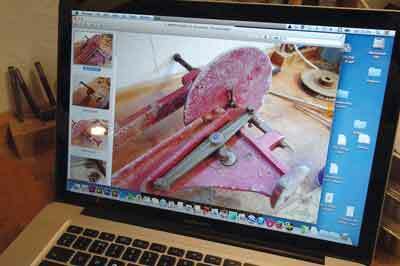 Like any avid tool junkie, my daughter Amber is collecting among other things, fretsaws. 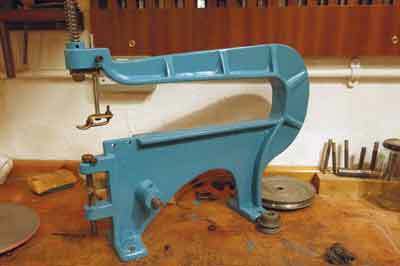 The old-fashioned foot or motored type, nowadays referred to as scrollsaws. Her grandpa recently gave her an old and rather derelict model, which was on a dirty wooden board, complete with a heavy and rather dangerous looking motor and pulley attached to it. The first thing I did was to take photographs so we could see exactly what went where. Then, during reassembly, I kept the laptop on the bench to help understand how each nut, bolt, washer and strange bit of metal needed to be reattached. 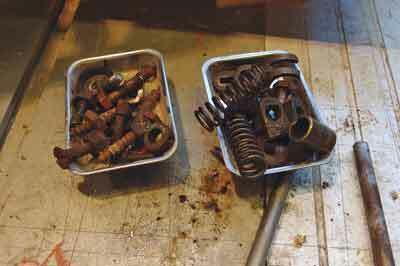 All the rusty, dirty, greasy fittings were carefully removed and put in magnetic parts trays for safety, although there were some brass components too. Everything was then washed and cleaned with a dewaxing agent and an old toothbrush. 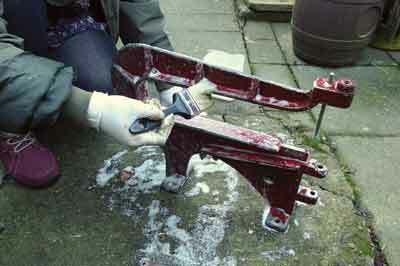 The main body casting was quite crude, but seemed functional enough to work again as a fretsaw. 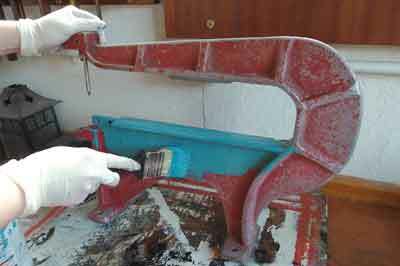 However, the aluminium had started to corrode so a diluted solution of aluminium cleaner used on car wheel rims and based on phosphoric acid was used to pickle the corrosion off the casting ready for a repaint. Once completely dry, the body was repainted with some Hammerite Direct To Metal paint we had in stock. 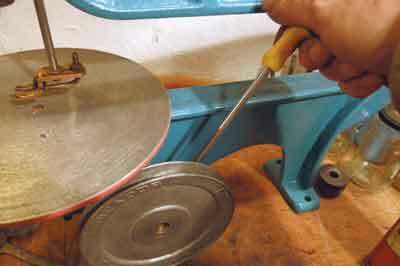 The circular table for cutting on would be in contrast pink, as it was for my daughter. All the small metal components were meticulously cleaned and derusted or polished up as necessary and then fitted back into place, taking care to ensure there were no spare parts left over! 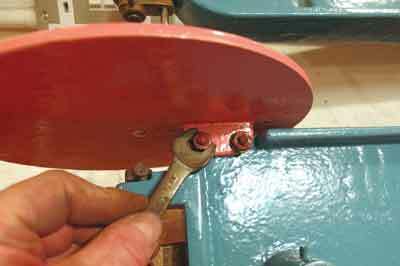 The entire mechanism for driving the blade movement was tested to make sure it moved easily. The last thing apart from finding a new piece of small diameter blower pipe to clear sawdust, was refitting the table now it cleaned and rubbed bright on the top surface. With the main drive pulley in place we are now looking for a cheapish compact motor to replace the old unsafe one. Then, this vintage piece of kit can hopefully live again!